No one expects a disaster to hit their California home, especially in beautiful San Diego County. However, as we all know, accidents can happen. Perhaps the stove was left on accidentally and a small fire claimed part of your home. Or, an unexpected storm led to flash flooding, and now your basement has about four inches of standing water settling into all of your belongings. Whatever the damage may be, there is only one damage restoration company you can contact to trust to ensure that the mess will be handled quickly and completely. We at SM Absolute are proud to assist those in San Diego County whenever disaster strikes! When it comes to choosing the best-of-the-best restoration companies, we are the team to call. Whether you need smoke damage restoration or water damage cleanup, our crew of professionals is ready to handle the mess. It’s important that you call as soon as you notice the damage, though. Don’t allow the problem to get worse! 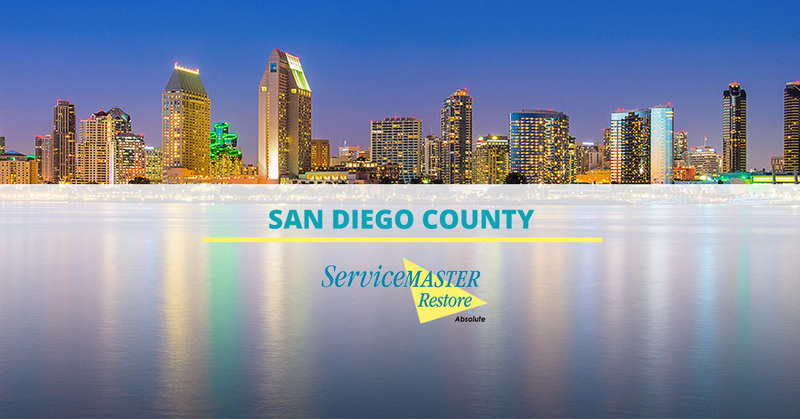 Whether a storm rolled into San Diego County and left you with a basement full of water, or a pipe burst and your bedroom is fully submerged, we can help. Our team has the proper tools and training to get rid of any standing water and leave your home in livable conditions. We would also be happy to help you as you contact your insurance provider. Even if you don’t have a flooded house, that doesn’t mean that water damage hasn’t been done. 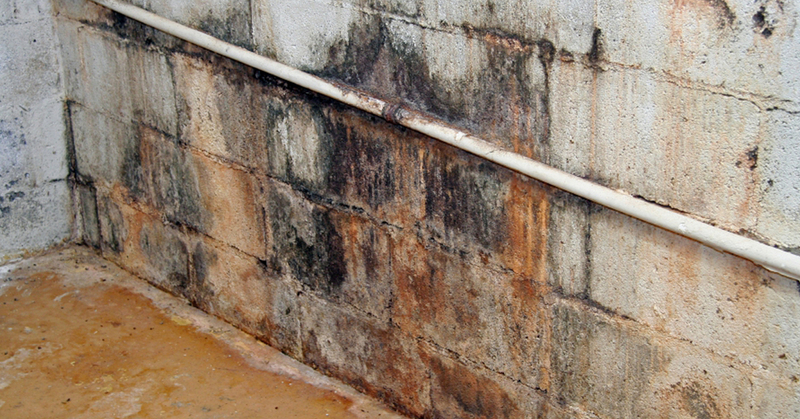 Your gutters may have failed you, leaving you with some water damage on the walls of your home. Or perhaps a washing machine malfunctioned. Whatever the case may be, call us immediately. Proper water damage restoration is essential to prevent worst situations, including mold growth. 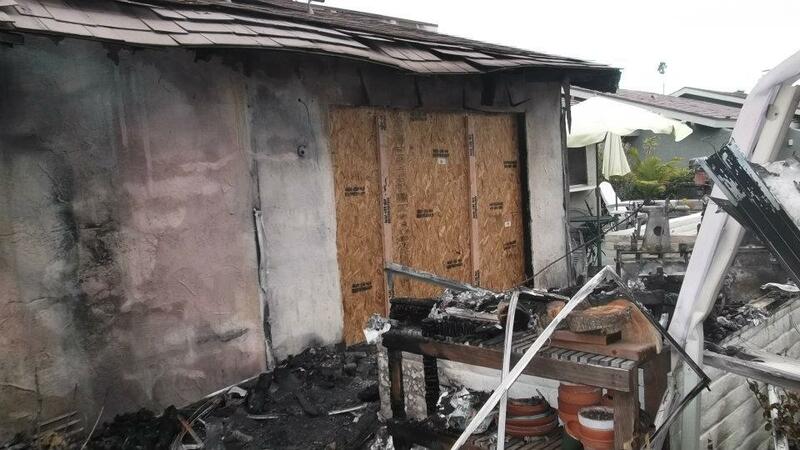 Fire tends to damage everything in its path, and we are sure that your San Diego County home or business was no exception. Let us help you get rid of the soot, smoke damage, and odor so you can get back on your feet and back to the way things were before the fire. Once we arrive, we take a look at the level of damage caused by the fire and figure out what the top cleaning method is. We will board up any broken doors or windows and then begin the fire damage restoration process. Contact us to learn more. Smoke almost always leaves behind an unpleasant odor. Don’t let yourself be reminded of the damage caused by lingering smoke scents for years to come. We would be happy to eliminate any residual odors, as well as clean any of your items that may have been damaged by the smoke. Our smoke damage cleanup includes removing soot from your walls, furniture, floors, and more. Whether it’s years of smoking, old pets who have come and gone, or whatever else, now your home has an unpleasant odor. Instead of masking the scent with candle after candle, call our team! We attack the source of the problem and leave your home smelling fresh. From cooking smells to cigarette smoke, our odor removal services can take care of it and freshen up your home. In the event of a traumatic event, such as a homicide, suicide, or other fatality, the building needs to be professionally cleaned to ensure that all hazardous waste has been removed. Not doing so can pose a health risk for all others in the building. Contact ServiceMaster Absolute and let our specialized team decontaminate the area quickly and efficiently with our crime scene cleanup services. This also includes industrial accidents, uninhabitable residences, hoarding and other gross filth, meth labs, tear gas cleaning, and more. Do not hesitate to reach out, as we have been thoroughly trained on how to handle these cases. When it comes to ensuring that your home or business is properly cared for, there is no team to call that’s quite like ours. Reach out today and let us know how we can help. We can be there within the hour, and we know that no job is too big for us to handle! Take a look at the list of cities below to see where we serve. If you don’t see your city listed and you are in San Diego County, please call us anyway. We would be happy to help you in your time of need.